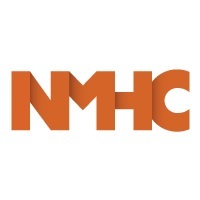 WASHINGTON, D.C. – (RealEstateRama) — Statement from the National Multifamily Housing Council (NMHC) and National Apartment Association (NAA) on passage of the Omnibus Spending Bill. “The National Multifamily Housing Council and the National Apartment Association applaud the passage of the Omnibus Spending Bill. This bipartisan legislation takes important steps to address the nation’s affordable housing shortage. “We commend Congress for increasing the Low-Income Housing Tax Credit program by 12.5 percent over the next four years and making permanent changes to the program, such as income averaging, which will make the program more flexible and allow for more mixed-income housing as well as allowing it to serve a broader array of households. “This expansion was critical to preserving the value of the program after the tax reform law, which was enacted earlier this year, reduced the value of the credit to corporate investors by lowering the corporate tax rate. “The nation needs to build 4.6 million apartments by 2030 to keep up with demand, and the LIHTC is the only public-private program that supports the development of affordable housing. “We also applaud them for increasing HUD funding by 10 percent, including increases to the CDBG, HOME and Housing Voucher Choice programs, all of which support affordable housing initiatives.